One of the most bone-chilling facts the pharmaceutical industry now faces is that –according to IMS Health – losses associated with temperature excursions during transportation currently sit at around $35 million. Even for an industry that is projected to have sales of $1.36 trillion by 2019, that figure seems staggeringly high. The most alarming part? It’s growing. 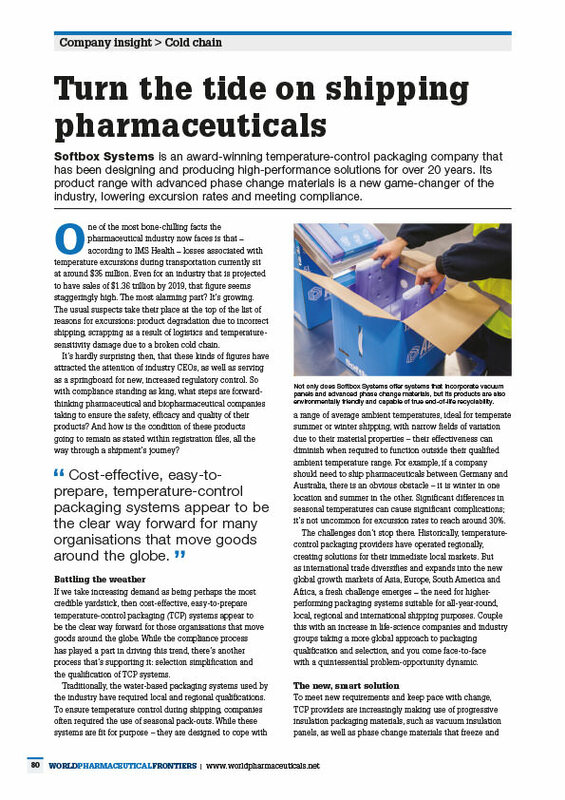 This article in WorldPharma explores how Softbox is approaching the problem, and finding solutions to ensure the safety, efficacy and quality of the products being transported, all the way through the shipment’s journey.